Just yesterday, Nollywoodgists.com, reported that Nollywood beau, Chita Agwu, was set to officially marry traditionally today, Saturday, October 25, 2014. Well, its Chita's big day as the actress, model and Akachawa presenter finally walked down the aisle with her Malaysia based fiance, John Maduabuchi. 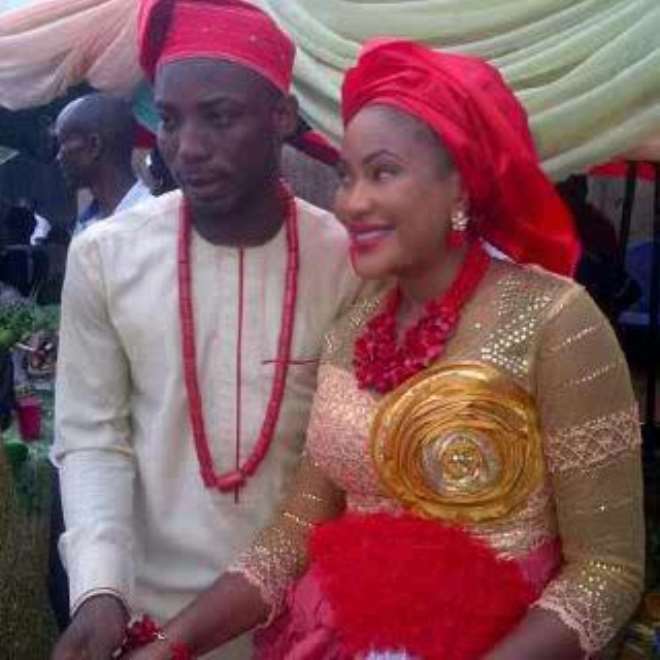 Her friends and colleagues were very supportive as they kept showering her with happy marriage wishes and prayers. Mimi Orjiekwe was not left out too as she did same with a lovely display message; It is Chita's big day. Happy married life my best boo'. The traditional marriage ceremony between Chita and heartthrob, Johnson Maduabuchi, took place in Umuobuna Uburu Ohaozara local government area of Ebonyi State. Lynxxx and Genevieve Nnaji, Next Celebrity Couple?